A satellite dish receives and transmits information by radio waves, allowing people to watch all their favorite television channels. These dishes can withstand rain, snow, ice, and extreme temperatures. But, they also come in a variety of sizes, meaning that some satellite dishes are better than others for receiving certain frequencies. With this in mind, choosing the best satellite dish for your individual needs is important. In addition to choosing the best model, you must install it correctly and know how to get the best reception with your dish. Some of the best ways to get good reception include installing the dish in a high location, avoiding physical barriers, and talking to a professional. 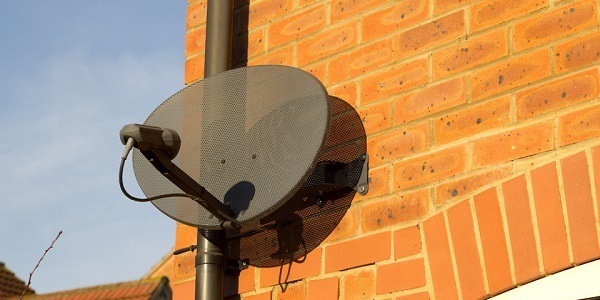 While there is such a thing as an indoor antenna, outdoor ones such as satellite dishes are better equipped to receive signals from ground-based radio transmitters and satellites. Satellite dishes offer better quality signal as well as higher frequency levels and access to more channels. Best of all, over the air signals are free so once you’ve invested in your satellite dish, you can enjoy your shows to your heart’s content. In addition to all the above, there are two types of satellite dishes, these are direct TV dishes and portable dishes that can be attached to vehicles such as RVs, for example. If you’re looking for the best satellite dish for your home this year, look no further as the Dish Network 1000.2 Dish 110, 119, 129 Satellites High Definition Dish will surely meet all your needs. Designed with an integrated three orbital location DISH Pro Plus LNBF, the Dish Network satellite dish can receive a signal from 110°W, 119°W, and 129°W DBS orbital locations. 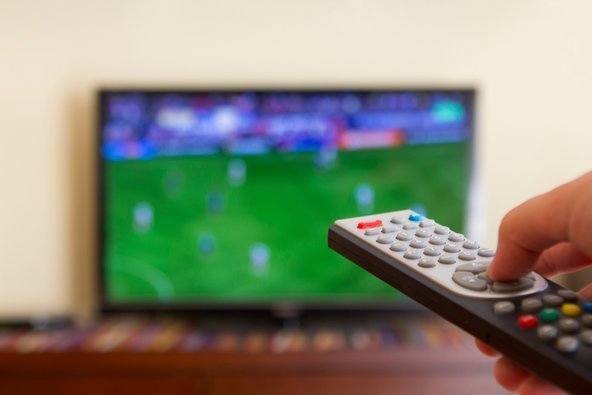 This means that no matter where you are in the world, you’ll most likely get enough signal to watch all your favorite TV shows on demand, from the comforts of your home. Plus, its single dish antenna can provide a variety of standard and high-definition channels, thus allowing you to watch all your favorite sci-fi and action movies as if you were in the cinema. Thanks to the Dish Pro Plus technology, the satellite dish can supply 2 tuners from only 1 line, and apparently, you can pick up channels from other satellites as well if pointing to them. According to numerous customer reviews, setting up this satellite dish is extremely easy and the best way to locate the satellites is with a simple compass. No need to buy additional gadgets! Folks who reviewed this satellite dish are extremely satisfied with the quality of the signal they receive with it. Best of all, they have access to all their favorite channels. 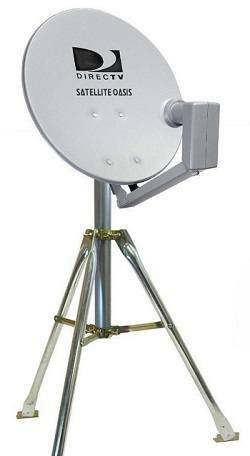 While the Dish Network 1000.2 Dish 110, 119, 129 Satellites High Definition Dish is designed as a direct TV satellite dish, many reviewers say they attached it to their RV or campers with absolutely no problems whatsoever. 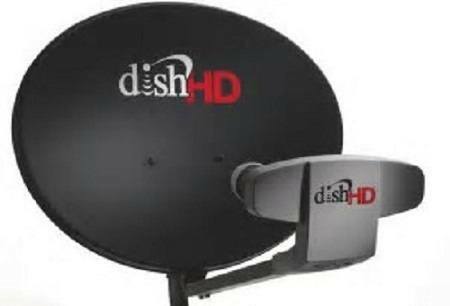 The Dish Network 1000.2 Dish 110, 119, 129 Satellites High Definition Dish comes repacked from a 10 set pack and includes all the necessary hardware as well as a clear and concise instructions manual for easy setup. While it does not come in its original box, you can either buy just the satellite dish or purchase the satellite finder as well. The dish alone is very reasonably priced at just under $73 while the dish and satellite finder package comes in at just under $95. Both come with free shipping and can be purchased from Amazon. If the above Direct Network model doesn’t quite meet your needs, we’d like to draw your attention to the DirecTv 18-Inch Satellite Dish. 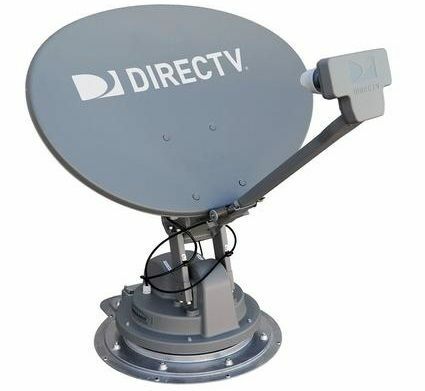 Equipped with a Dual Output LNB, this DirectTV model is approximately 18 inches in diameter. It picks up DirectTV 101 satellite and will, therefore, allow you to watch all your favorite TV channels from the comforts of your home. The DirecTV 18-Inch Satellite Dish connects to a standard receiver for DirectTV which can also connect to a high-definition TV. Based on numerous customer reviews, this model is extremely easy to setup. It can be mounted using ¾ inch lag bolts and alignment is also very straightforward. In addition to the above, folks love how sturdy the DirecTv 18-Inch Satellite Dish feels, saying that it comes in a much stronger construction compared to older models. In fact, many reviewers say that since installing their satellite dish, they have no drop-outs in signal even during big rainstorms. Another reason we believe this is one the best satellite dishes on the market at the moment is that it can also be used on RVs. Many customers state that they get really good signal even when they move their dish a couple of degrees in other directions. Aside from offering great quality signal, this DirectTV satellite dish is very affordable if you make your purchase on Amazon. It is priced at just under $50 per unit including free shipping straight to your doorstep as long as you reside in the United States. Additionally, customers who bought this satellite dish say that they received their package within just three days meaning that thanks to Amazon’s efficiency and the self-tapping bolts which make it easy to install, you can have your dish running in no time. If you’re looking for the best portable satellite dish for your RV, look no further as the KING VQ4500 Tailgater Portable/Roof Mountable Satellite TV Antenna comes packed with features as well as with multiple TV viewing options. This King satellite dish is the perfect model for dish service. You can also sign up for pay-as-you-go or add it to your home dish service to further enhance your signal. 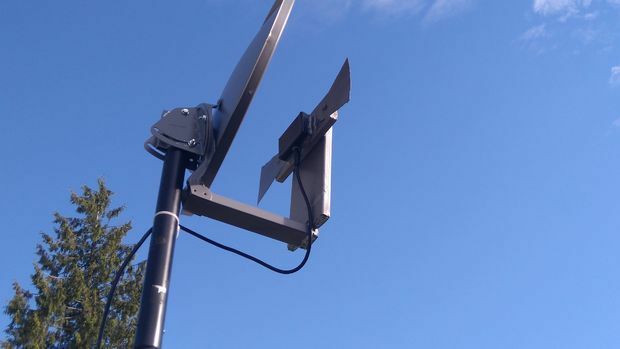 Not only this, you can choose whether you want to use it as a portable antenna or mount it to your roof as it comes with mounting feet included. Additionally, it supports multiple TV viewing with the built-in dual coaxial outputs as long as the programming is on the same satellite. The KING VQ4500 Tailgater Portable/Roof Mountable Satellite TV Antenna offers a fully automatic satellite acquisition and is powered by a receiver that does need a separate remote control or power source. 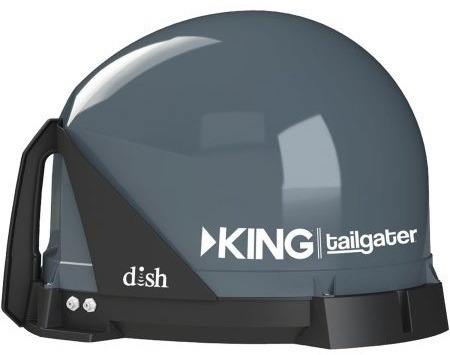 When it comes to multiple TV viewing, you can choose the King Tailgater for a dish, the King Quest for DirectTV, or the King tailgater for dish with wally receiver, all of which have different capabilities and have slightly different price tags. Based on numerous customer reviews, setting up this satellite dish is extremely straightforward. Not only this, many reviewers say that they receive all their preferred local channels without any signal problems. Many folks say that they receive much better signal than with other satellite dish models because they are able to simply tweak the transponders for both 110 and 119 to higher and lower numbers. Last but not least, the KING VQ4500 Tailgater Portable/Roof Mountable Satellite TV Antenna is a one-time investment of just over £375. If the above King model doesn’t quite tickle your fancy, we recommend you take a close look at the DIRECTV SWiM Mobile RV Portable Satellite Dish Tripod Kit SWM SL3S as our second best satellite dish for RVs. As a new addition to the Satellite Oasis portfolio of products, the DIRECTV SWiM Mobile RV Portable Satellite Dish Tripod Kit SWM SL3S is compatible with H25 and Genie model receivers of HR34, HR44, and onwards. It is not compatible with C31 and C41. Technically, the package can be used with up to 32 receivers, although you’ll probably only ever need 1 to 4 depending on your area. The genuine DirectTV SWiM HD means that the kit comes equipped with everything that you need to benefit from portable satellite TV in high-definition. Now, you can spend evenings in your RV watching high-definition TV without a worry in the world! Not only this, this is one of the best portable satellite dishes for RVs because it comes with a variety of additional features including a tripod, a 50ft coax, a compass, and a bubble level. These are all features that usually come at an additional cost that the company has added to make installation that little bit more straightforward without costing you extra. The DIRECTV SWiM Mobile RV Portable Satellite Dish Tripod Kit SWM SL3S comes with the company’s branded carrying case for all your accessories so that parts never go missing while you’re away on holiday. The set comes with the satellite dish and everything you need to get started. All you need is your DirectTV box and you can install your dish on your RV. According to numerous customer reviews, the satellite dish is extremely easy to setup in less than 20 minutes. With all the tools provided, this kit is perfect for those who enjoy camping and tailgating. There are also reports of it being perfect as a home dish too. Aside from its numerous features and functionalities, the DIRECTV SWiM Mobile RV Portable Satellite Dish Tripod Kit SWM SL3S is one of the best-priced dishes on the market today at just under $130 including free shipping straight to your doorstep. Last but not least on our list of best satellite dishes for RVs is the Satellite Oasis Directv 18" Satellite Dish Rv Tripod Kit because of its multitude of features, low price tag, and incredible online rating. This Satellite Oasis model is perfect if you’re looking for an affordable way to get all your favorite television channels while on holiday in your RV. While it is not suitable for receiving high definition channels, this model is compatible with most DirectTV receivers apart from H25, HR34, HR44, and C41 ones. It receives all the standard definition programming that DirectTV offers. If you don’t need high-definition television programs while on holiday, this is the best satellite dish for RVs because it is easy and quick to install while you’re on the road. All you need to get started with this satellite dish is your television, your satellite receiver, and 120V power. The Satellite Oasis Directv 18" Satellite Dish Rv Tripod Kit also comes with a satellite finder for easier aiming and quick installation. Plus, if all the above isn’t enough, it’s the best portable satellite dish as it comes with a carrying case that you can keep all your tools and accessories in. Based on numerous customer reviews, folks who ordered their model online received it in perfect condition and in good time with absolutely no complaints. Some people recommend you install your dish at home first in order to get the hang of the setup and to figure out how it works. Plus, according to one customers, DirectTV can help with the setup too. Not only this, the instructions manual with which the satellite dish comes are very comprehensive and allow for quick and simple installation. Aside from all the aforementioned capabilities and functionalities, the Satellite Oasis Directv 18" Satellite Dish Rv Tripod Kit is one of the most affordable models available at just under $90 per unit. Plus, it comes with free and fast shipping straight to your doorstep if you’re in the U.S.
Before you buy a satellite dish, you need to find out which channels you can receive in your area. There are various ways you can find this out. The most efficient and easiest way is with an online tool. With one of these tools, all you need to do is input your address and the tool will tell you about the various channels your satellite dish will be able to receive. It’s important that your satellite dish is not obstructed by any objects such as trees, for example. Try and place it in an area that is open. In addition to being wary of your location, you should choose your dish based on the satellite you want to watch. Some dishes can pick up certain satellites while others can’t. This means that you should consider the TV shows you want to watch and which satellites allow you to do so. Make sure that your dish can pick up the satellite you need to watch the shows you want. In the United States, the main satellite programming choices are DirectTV and Dish Network. Both these choices are owned by the same company, however, they come with different packages and pricings. Not all satellite dishes are compatible with different receivers. The best satellite dishes are usually compatible with H25, HR34, HR44 receivers and above. The higher-end models also come compatible with C31 and C41 receivers. That being said, each model varies so it is important that you check with the manufacturer before making your final purchase. In larger home installations, you may find that you can install multiple receivers. While the most common number of connections to receivers in larger installations is 4, there are instances where more than 30 can be installed. 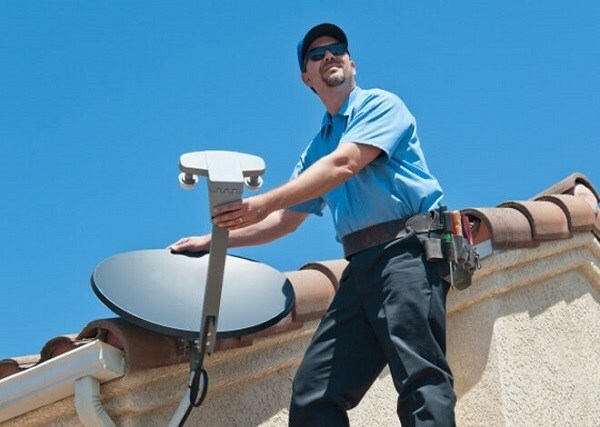 Single installations are also very common, especially if you’re connecting a satellite dish to an RV, for example. The type of satellite dish you choose will also depend whether you want to watch high or standard definition channels. The quality of the dish will dictate which type of television you can watch at home or in your RV. Both satellite programming choices mentioned above offer more than 200 high-definition channels. That being said, it is not just about the provider you choose. The receivers with which your satellite dish is compatible will also make a difference as to whether or not you can watch high-definition television. Different satellite dishes are installed in different ways. Also, the location at which you are installing your dish makes a huge difference. For example, you would install a dish in your home differently to on an RV. When choosing the best satellite dish, you must consider how it will be installed and what materials and tools you need to get the job done. Consider the type of receiver you need as different models need different cables. For example, if you want to install a standard, single set-top box, you’ll need one cable. On the other hand, if you want to be able to record while watching your favorite show, you’ll need two. Additionally, some dishes are easier to assemble than other. Make sure that you always follow the instructions manual when putting together your dish and don’t try and cut corners otherwise it won’t work as intended. We recommend you choose a model that comes with a small toolkit and the right mount. Some models come with tripods that make it easy to mount your satellite dish while on holiday in your RV. Not only this, some manufacturers offer satellite dishes with a coax, a compass, and a bubble level. Also, if you choose a model that receives either DirectTV or Dish Network programming, you can phone them for advice or get one of their engineers to set your dish up for you. Consider when and where you want to use your dish. If you want a new satellite dish for your home, portability is less important as once it is installed, you’ll likely not often move or tamper with it. That being said, if you are buying a new satellite dish for your RV, you need to it to be light, easy to move around, and simple to install. Some come with tripods that make them easier to move from one location to the other. Other models come with special carrier cases which allow you to store all your tools for easy installation. Choosing the best satellite dish can be challenging because they are such complex pieces of technology that require a certain amount of knowledge to get up and running. While all the products mentioned above are high-quality satellite dishes that can be installed in your home or RV, we recommend you base your final choice on your engineering capabilities, your budget, and of course, the channels you’d like to watch. By considering all the features mentioned above, you’ll be sure to find a satellite dish that meets all your needs.